Leigh’s Multiple Mortise & Tenon Attachment (M2 or M2M) brings this challenging joint within easy reach of any woodworker who owns a D4R Pro or D-series dovetail jig and a plunge router with 1/2" collet. 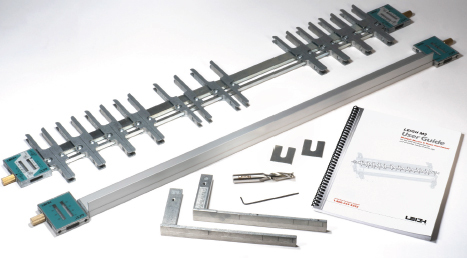 The M2/M2M’s adjustable guide fingers let you rout multiple mortise & tenon joints in virtually any layout you like, in stock up to 24" (610mm) wide. Mortises & tenons can be routed in sizes from a delicate 5/16" x 5/8" (7.93 x 15.9mm) to a muscular 1-1/2" x 2-1/2" (38.1 x 63.5mm). Choose from two corner radii: 5/32" and 1/4", plus square with chiseling. Rout mortise & tenon joints in virtually any layout, in stock up to 24" wide. 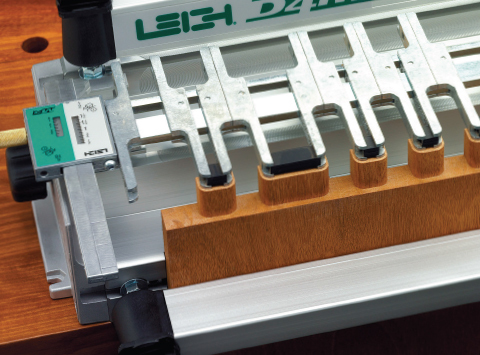 The M2/M2M attachment helps you rout the perfect joint to suit any woodworking project. 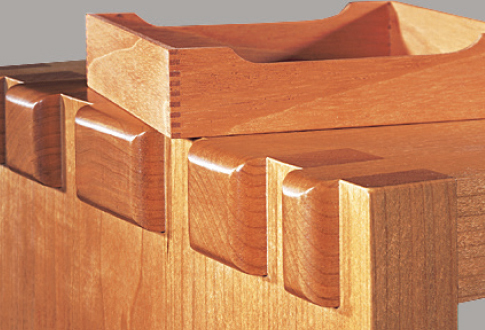 Joinery Gallery: Click here to see a wide range of multiple mortise & tenon joinery options. Remove the guide finger assembly and slide the M2 attachment onto your jig in seconds. 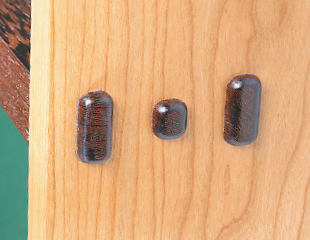 The M2/M2M can also rout extraordinary jumbo variably spaced finger (box) joints. 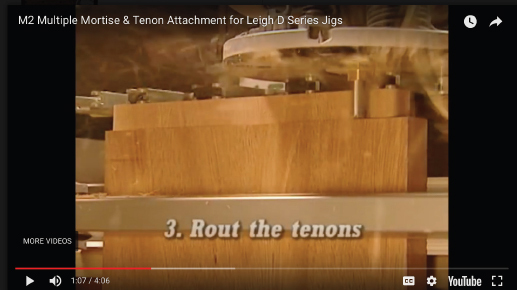 Finger Joints are almost always made with identical finger and socket sizes, but since fingers are basically multiple tenons, and sockets are simply a series of mortises, Leigh’s M2 is a finger Joint jig right out of the box. 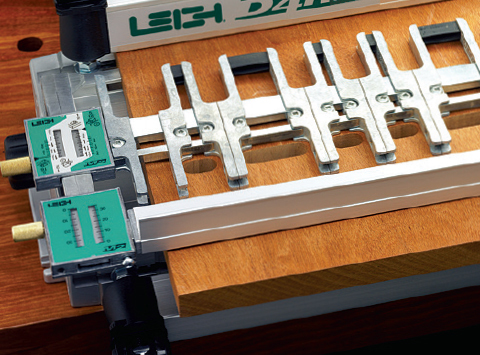 The M2/M2M makes fingers 5/8" or wider, symmetrically or variably spaced, just like Leigh dovetails. The M2 handles stock as thick as 1-1/2". Leigh recommends a midsize router, from 1-1/2 to 2-1/4 HP (9-13 amps) with a 1/2” collet. This size provides great power to weight ratio. 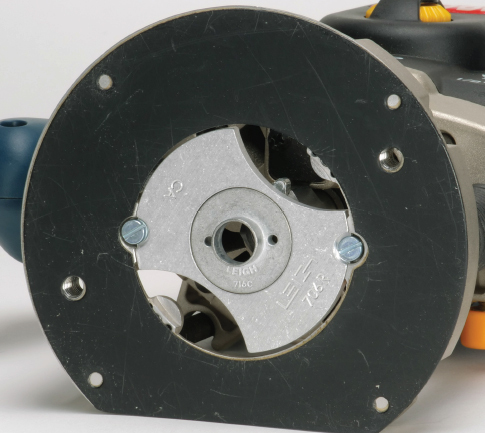 Fixed base routers are ideal because they have a lower center of gravity with handles mounted to the router base rather than the motor, as with plunge routers. However, if you are proficient with the use of a plunge router, it works just as well. 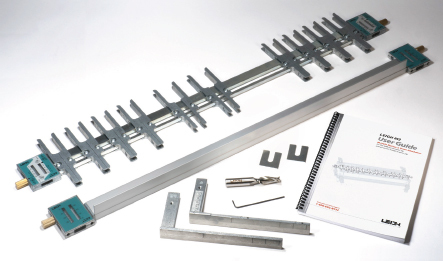 A plunge router is recommended for Isoloc Templates and is required for the M2 Attachment. When buying a router, also consider ergonomics, switch location, a good plunge mechanism and easy, accurate adjustment of bit height. One or two bits are all you need for the M2/M2M. 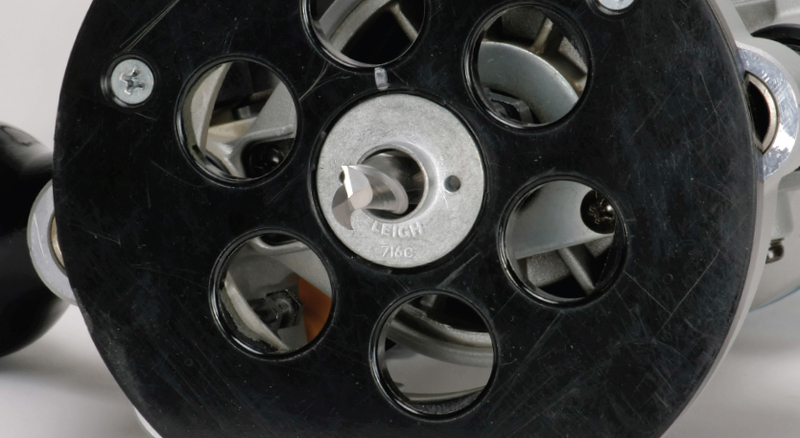 A 1/2" bit (Leigh No.180) is included with the M2 attachment. 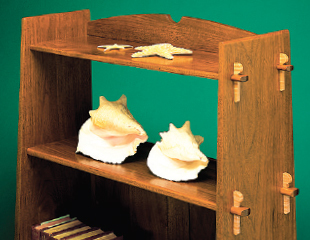 It’s suited to heavier joinery in boards 3/4" to 1-1/2" thick. It cuts quickly and smoothly with a larger corner radius. A 5/16" bit (Leigh No.170) is available as an optional bit and is used for relatively small mortise & tenon joints in boards 3/4" or thinner. It leaves a nice, tight radius in the corners. Note: Leigh does not sell metric bits. 1 Mount the M2 /M2M template on your D4R Pro jig in mortise mode. Color-coded scales for 1/2" (12.7mm) or 5/16" (7.9 mm) bits gives you precise control of mortise width. 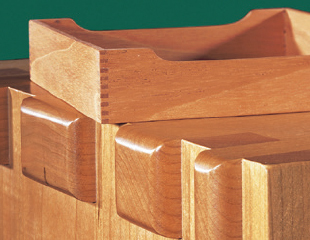 2 Upcut spiral bits are your best choice for routing mortises and tenons cleanly. 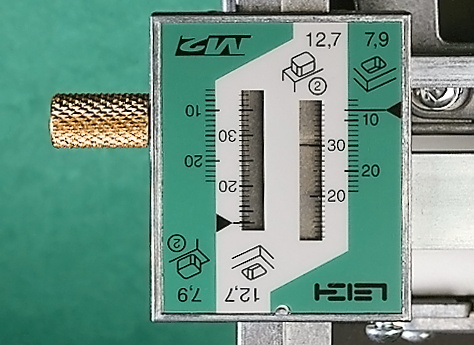 Use a 5/16" bit with a 7/16" o.d. guidebush, or a 1/2" bit (included) with an optional 5/8" o.d. guidebush. 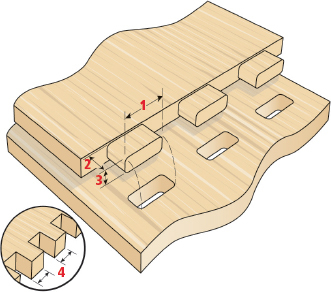 3 Adjust the fingers to the multiple mortise and tenon layout you’ve designed. 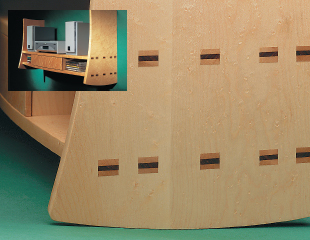 The template guidebush steers your router against the fingers through three sides of the mortise. An adjustable fence, the mortise beam, guides your router base as you cut the fourth side. Set your depth of cut for either blind or through mortising. 4 Remove the mortise beam and flip the finger assembly over into tenon mode. 5 While the finger layout establishes the width of your tenons, the scales determine their thickness. 6 Routing square-cornered tenons is very quick and straightforward. 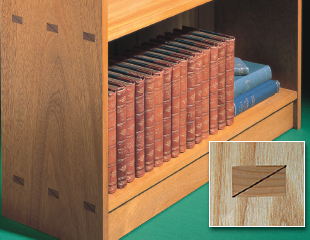 Rounding their corners is a simple twostep process, aided here by using shop-made wooden bridges between guide finger ends. 1/2" to 8mm collet reducer 1-1/4" long. 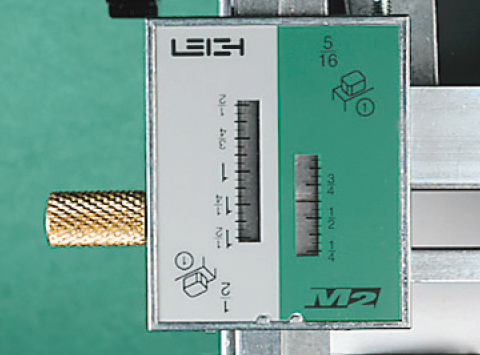 The M2/M2M requires a router with a 1/2" collet and a 1/2" to 8mm collet reducer. 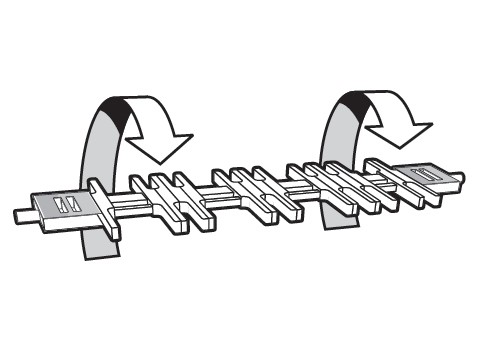 For joints routed on the M2/M2M. Use with 5/16" (7.9mm) HSS spiral upcut bit, no.170. For jumbo joints routed on the M2/M2M. 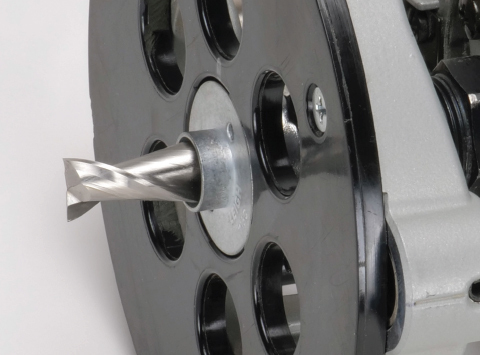 Use with 1/2" (12.7mm) HSS spiral upcut bit, no.180.